Be careful or this big-bellied boy will bounce you right out of the fanciest Honolulu nightclub! This 5"x7" print is made from my original painting using my Epson #6500 printer and Epson Matte Heavyweight Paper. 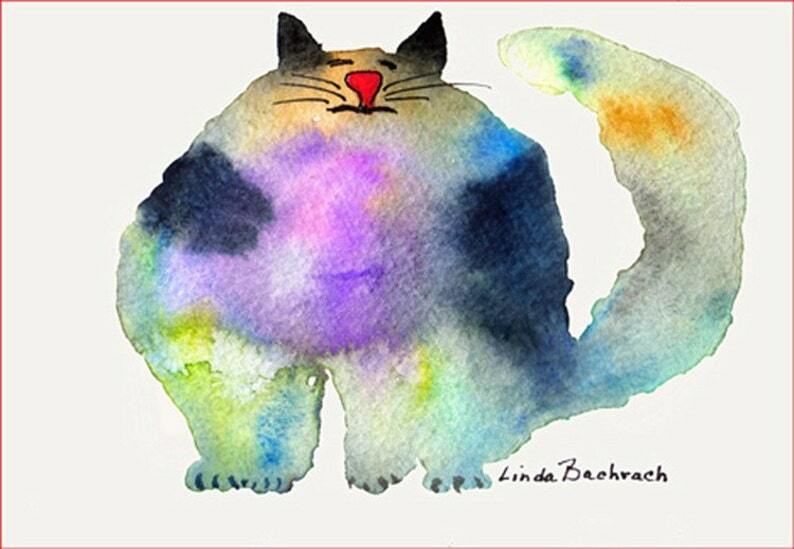 This is such a cute and whimsical print as well as being a beautiful watercolor. I just love it! Purchased this for my son (who is Asian) for Christmas and had it framed. We have a running joke about one our chubby kitties who is part Siamese. I look forward to purchasing more cat themed prints from this artist as I love her work. The print shipped very quickly and was packaged nicely.